Made from handmade batik cloth. 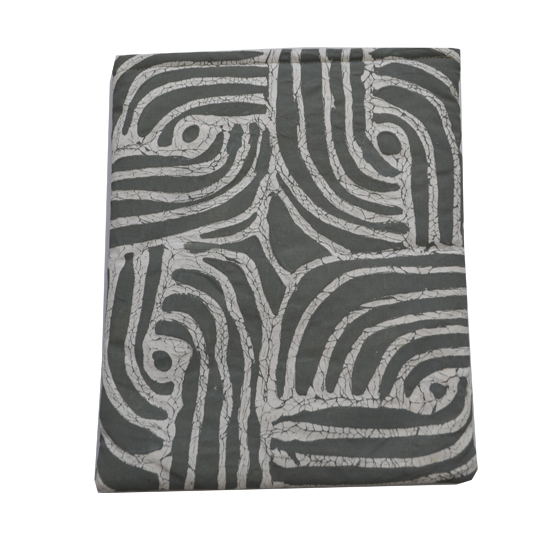 design LGB, Lets Get Busy .Available in warm grey, size 21cm x 27cm. Made from handmade batik cloth, pattern designed by the Penduka artists from the slums of Katutura district, Windhoek. 'Let's get busy' is one of our most successful batik pattern with a Penduka artist working about 1 day for a full table of 7 meters. This pouch is hand-sewn and can be used as a ipad/notebook cover or any other small bag. It has a zipper and is padded. Available in warm grey, size 21cmx27cm. Durable material, 100% cotton, machine-washable. For other specific colour/ size variants or personalised motifs please contact us.